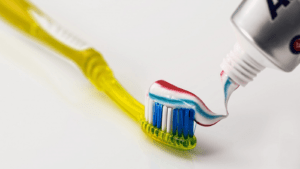 Home » Blog » Does Medicare Cover Vision and Dental Benefits? If you are a Medicare enrollee, or you soon will be, you may be wondering just exactly what – if anything – this program offers in terms of vision and dental benefits. Unfortunately, for those who are enrolled in Original Medicare, which includes Medicare Part A and Part B, the answer is very little, if anything. For instance, Original Medicare (Part A and B) does not provide any coverage for most routine dental care, as well as for dental procedures or supplies, such as dental devices, plates, dentures, fillings or extractions. Likewise, Part A and Part B of Medicare will not cover eyeglasses, exams, or other routine vision-related services. In fact, Part A of Medicare will only pay for dental needs if they are necessary for an emergency or a complicated procedure. Also, Medicare Part B offers very little, if any, coverage for vision needs, such as routine eye exams – unless an enrollee requires vision correction following cataract surgery. Glaucoma Tests – For those who may be at a high risk for glaucoma, Medicare Part B will cover a test for this condition every 12 months. Here, it will be necessary to pay a 20% copay, as well as to ensure that the Medicare Part B annual deductible has been paid. Annual Eye Examinations – While Original Medicare does not cover regular eye exams, Medicare Part B may provide coverage for a yearly eye examination for diabetic retinopathy for enrollees who have been diagnosed with diabetes. In this case, too, a 20% copayment would be required. The Medicare Part B annual deductible will also apply. Macular Degeneration – Some Original Medicare enrollees may be covered for services that are related to age-related macular degeneration. This may include treatment with certain types of injected drugs. In addition, Medicare Part B may also provide coverage for cataract surgery. Here, for instance, Medicare may cover the cost of the artificial lens that is necessary for replacing the lens that is affected by cataracts. In this case, Part B of Medicare may also cover some limited related costs, such as the expenses for glasses and/or other vision correction products that are needed. Similarly, in order to have dental coverage through Original Medicare, the care would need to be considered an emergency or a complicated procedure. As an example, if a Medicare enrollee is involved in an accident, this program may cover medical reconstruction of the jaw. Original Medicare may also provide coverage for having a tooth extracted – but only if the procedure was necessary as a part of a mouth or jaw-related condition. Regular, routine dental related procedures, however, are not included in Original Medicare coverage. So, what can you do if you would like to secure coverage for various dental and vision services through Medicare? Although Original Medicare’s coverage is somewhat limited when it comes to dental and vision benefits, there are ways that you can still obtain coverage for these items as a Medicare enrollee. One way is to join a vision and/or dental discount plan. Here, you would pay either an annual or a monthly premium in return for discounted rates from certain groups of dental and vision providers. These discount plans will often have a long list of providers that you can choose from – and they can make getting the services that you need easy and convenient. Alternatively, you may consider purchasing a stand-alone dental and/or vision insurance policy. Going this route will allow you to pick and choose the plan that works best for you, and for your budget. Working with an independent insurance agency that specializes in Medicare coverage can be the best way to pursue this option, as you will be better able to review multiple plans, and you can discuss with an expert which of the options may be best integrated with your other coverage. Stand-alone policies can also oftentimes provide you with more flexibility in terms of which dental and vision service providers you can use. For more information on choosing dental and/or vision coverage for Medicare enrollees, contact us at (800) 208-4974. There is also another way to receive your Medicare health care benefits. That is through a Medicare Advantage plan. Yet, while some Medicare Advantage plans may offer coverage for dental and/or vision, the reality is that these plans are also very limited in terms of what they actually cover. One reason for this is because Medicare Advantage plans will oftentimes be set up as an HMO (Health Maintenance Organization) or PPO (Preferred Provider Organization) where you can only receive your coverage from providers and hospitals that are listed in a particular network. In other cases, you may use out-of-network providers – but your care and services can end up costing quite a bit more. Medicare Supplement plans (aka Medigap plans) do not provide any additional dental or vision coverage. These plans provide coverage for what Medicare does not cover in full, such as the deductibles and copays (20% Medicare does not cover). Generally, they don’t add any additional coverage. However, there are several insurance companies that offer discounts on dental and vision services if you buy a Medigap plan from them. Still Unsure About Which Medicare Plan is Right for You? Winding your way through the maze of Medicare coverage options can be confusing. This is particularly the case if you may require coverage for services that are not typically provided for through Medicare Part A and Part B. But having a health care plan that is flexible and comprehensive can make a big difference in terms of how your needs are covered, as well as how much you may be required to pay yourself. If you are still not sure about which of the many Medicare plan options are right for you, we can help. Even if you are already enrolled in a Medicare plan, the coverage options and/or the premiums may change over time. Because of that, it can be beneficial to review the various coverage alternatives that are available to you. By working with an independent specialist who has a focus on Medicare plans, you will be able to better determine which one will be right for you. Contact us at (800) 208-4974 to take the next step in ensuring that the Medicare plan you have is right for your specific coverage needs.